The Parker Design team recently participated in a D&AD training session in Manchester to explore this topic in detail and identify the keys to creative leadership. We spent a very honest and insightful day at Ziferblat with Thea Hamrén – Creative Director of Mr. President in London – refining our approach on how to nurture and inspire creative professionals by overcoming the most common barriers to team motivation. A big thank you to Thea for spending the day with us. We definitely learned a lot during this D&AD session and are looking forward to putting these ideas to work within our creative teams. 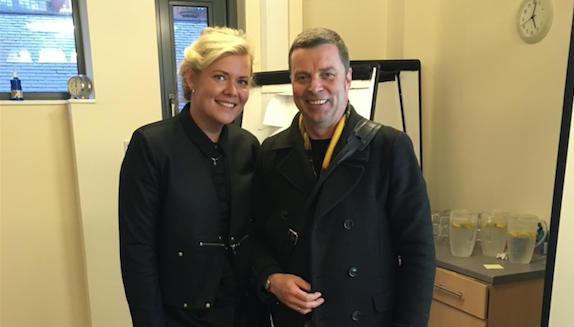 Our Creative Director, Mark Bowers, with Thea Hamren of Mr. President.